Our canoe club has had the pleasure of hosting Dearcroft students paddling during spring and falls for the last few years. This year we have expanded the camps we offer, and are delighted to offer you a 10% discount for registering for our half-day morning summer camp during the week of July 2 – 5, for any registration prior to May 1st. 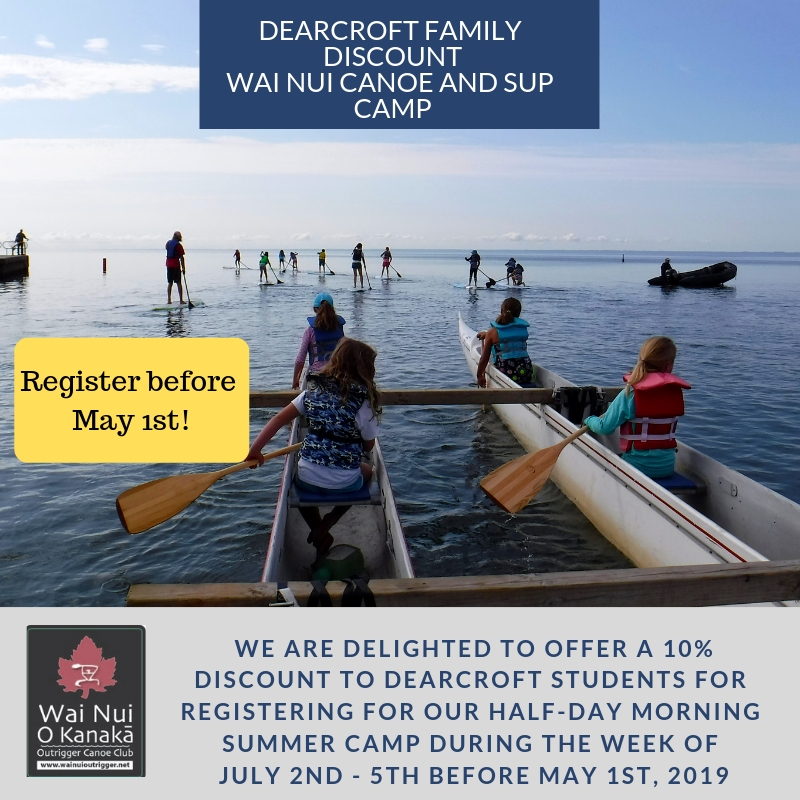 VERY IMPORTANT- If you are taking advantage of this amazing offer, please write on the registration form that your child is from Dearcroft Montessori School to receive the 10% discount. We often hear back that our camps are ‘the best ever’ from parents as well as from kids themselves. Please join us to share the joy of outdoor life on the water in our urban wilderness.